Rodimus Prime and his loyal Autobots in one possible future of Cybertron. 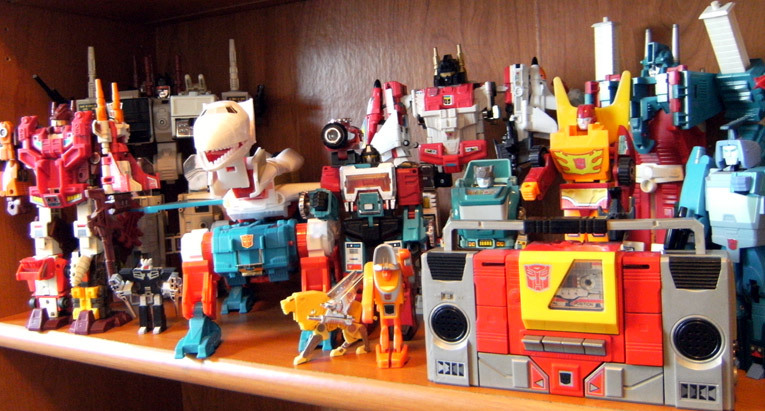 Featured: Blurr, Ultra Magnus, Rodimus Prime, Kup, Perceptor, Blaster (tape deck mode), Wheelie, Steeljaw, Sky Lynx, Rewind, Computron, Superion, Metroplex. Not Pictured: Ramhorn and Eject are in cassette mode; Wreck-Gar is in the mail; I'll get Springer eventually; one day they'll make an affordable classic Arcee.